In addition to the main internment camps, many other facilities were used to house internees, if only on a temporary basis. Most of the information for this page comes from the book, Santo Tomas Internment Camp, 1946, pages 201-208, by Frederic H. Stevens. This is a college established and operated by the Society of Jesus. The Jesuit Fathers converted some of their classrooms into dormitories when the war started and took care of a number of allied nationals. By the end of May, 1943, approximately 40 men and women were quartered at the Anteneo ad as many as 53 were at one time housed there. This facility was closed in July 1943 and 39 people were re-interned. This facility was closed in February 1944 and 12 people were re-interned. The STIC Committee reorganized this splendid refuge for Camp youngsters, which took care of over 100 children. This facility was closed on 10 February 1944 and 114 people were re-interned at STIC. This institution, located on a small island in the Pasig river was operated by Sisters of Charity as an orphanage. Through an agreement with the Mother Superior, the Committee extended the facilities of the Hospicio de San Jose to take care of approximately 130 old men. This facility was closed in September 1944 and 106 people were reinterned. See A.V.H. Hartendorp’s The Japanese Occupation of the Philippines, volume 2, pages 351-353. “Manila, February 11, 1945 – (Associated Press) – The dramatic rescue of some 3,700 internees at Santo Tomas internment camp was repeated on a smaller scale here yesterday when a flying squad of dismounted United States cavalrymen dashed into the Mandaluyong correctional institution and insane asylum on Manila’s outskirts and liberated 12 persons, one a Canadian nun. The Canadian nun was Sister Marie Des Lis, born Irene Pinsonault of Napierville, Que., and with her was Sister St. Louis de Gonzaga, whose family name is Anna Girard of Claremont, N.H. Both are sisters of the Immaculate Conception with the Mother House in Montreal. The others rescued were three American women and seven Filipinas. All of the women rescued were in fair health and good spirits. All of them had been held in the institution on Japanese court martial sentences ranging from two to 15 years. Most of them had been held in solitary confinement for more than a year. 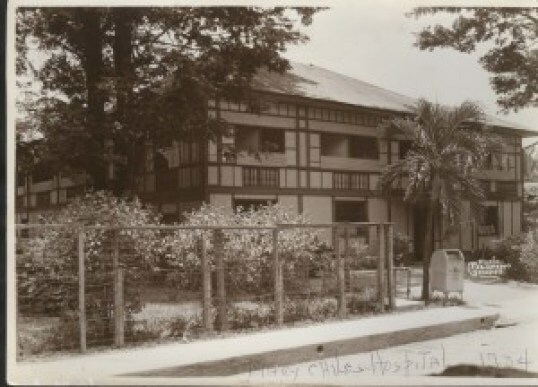 During the War, the Mary Chiles Hospital was used to house and treat some internees. During the War, the National Psychopathic Hospital was used to house some of the internees. In addition, the government decided to establish a hospital exclusively for the treatment of patients with mental and nervous diseases. Substantial government appropriation allowed for the purchase of 64 hectares of land in Barrio Mauway, Mandaluyong, Rizal, adjoining the grounds of Welfare Village. By December 18, 1928, around 400 patients of the Insane Dept. Were transferred to the new hospital, marking the formal opening of the Insular Psychopathic Hospital. Dr. Elias Domingo became the first chief of hospital, assisted by the nursing staff from San Lazaro. The Insular or National Psychopathic Hospital was about 10 kms. from downtown Manila, surrounded by farmlands, relatively secluded from the adjoining towns. When the City Sanitarium closed in 1935, all its patients transferred to this hospital, further aggravating the overcrowded state of its wards. In an effort to match the unabated increase in the number of patients, additional pavilions were constructed thereby increasing its total bed capacity from an initial 400, to 1,600 by the end of 1935. From the Philippine Psychiatric Association website. 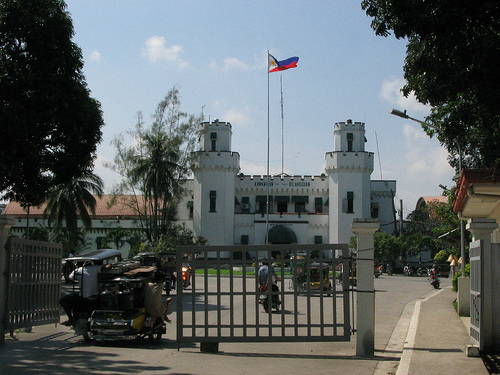 The New Bilibid Prison in Muntinlupa, Philippines, was build and opened in 1940 to replace the Old Bilibid Prison in central Manila. After the liberation of the Los Banos Internment Camp, the former internees were moved here. Through the efforts of the Committee, of outside institutions, the Philippine General Hospital allotted additional space and accommodations for internees from Santo Tomas who required hospitalization. 35 additional beds were made available in the male and private rooms, and 8 beds in the female ward. Internee tuberculosis patients were usually housed in the Philippine Tuberculosis Hospital. Some of the internees included Albert Edgar Benson, Cecil Ann de Prida, Patricia Ann de Prida, Leo Joseph Gump, Floyd Kenneth Huebsch and Warren Mitchell. This institution was operated until June, 1942, as Red Cross Hospital No. 4, and when the Committee began it administrations, it was taking care of only a few men and women internees. 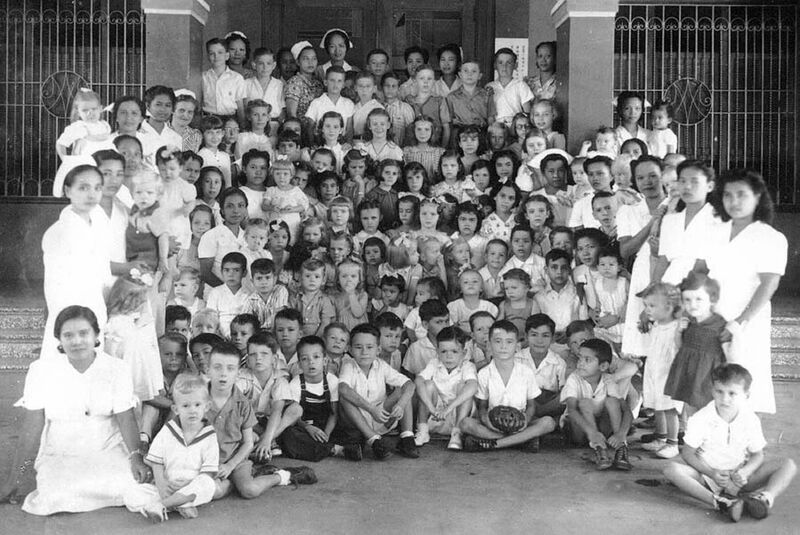 By July, 1943, the number of internee patients at Remedios Hospital had increased to about 90. This facility was closed in September 1944 and 71 people were re-interned. See A.V.H. Hartendorp’s The Japanese Occupation of the Philippines, volume 2, pages 353-355. This facility was closed in October 1944 and four patients were re-interned into Santo Tomas. Patients there included Mary Klein Baker, William J. Douglash, Smith Howland, Henry Howard Long, Charles Michaels and Jerry J. O’Toole. This facility was closed in October 1943 and 32 people were re-interned. This facility was closed in February 1944 and 21 people were re-interned. This facility was closed in December 1942 and 26 people were re-interned. “A private institution, was being operated at the outbreak of hostilities as a camp for British evacuees from Shanghai. 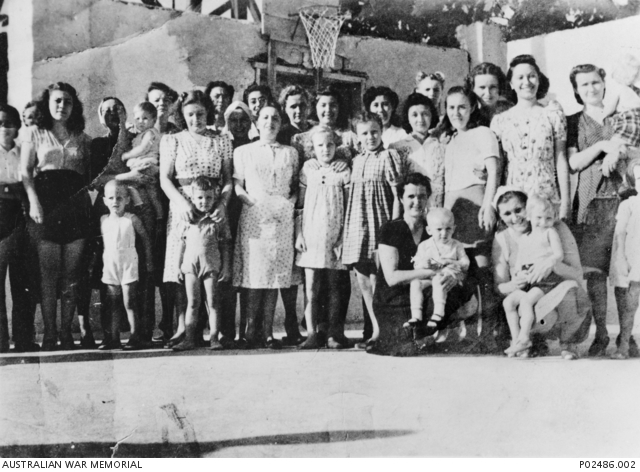 After the internment of these people at Santo Tomas Internment Camp, about 20 internees lived there as paying guests. By July, 1943, the number quartered at Sulphur Springs had increased to about 90.” This facility was closed on 21 February 1944 and 66 people were re-interned at STIC.